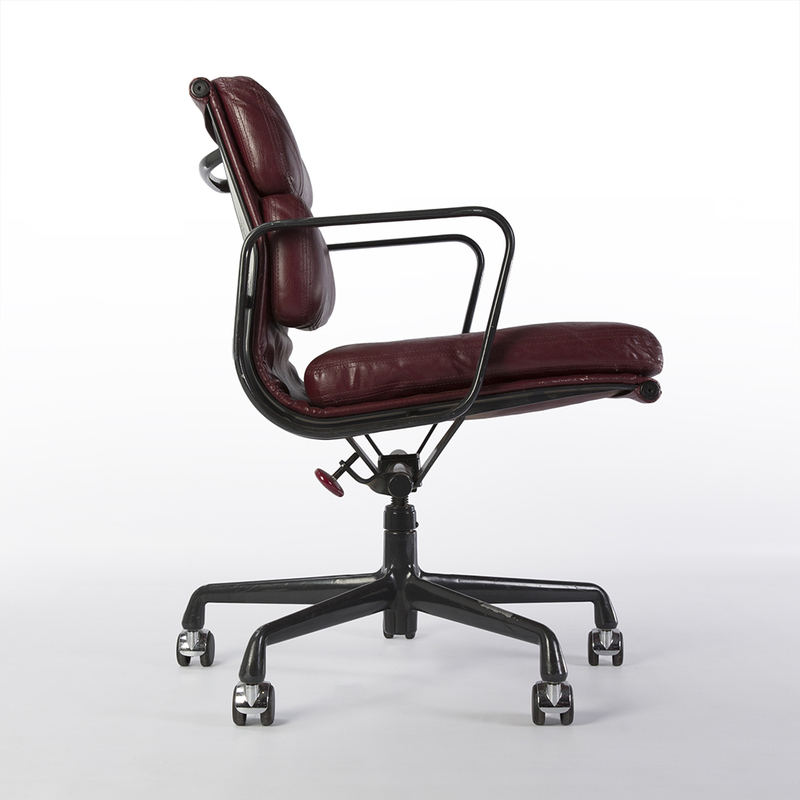 The Eames EA435 ‘Soft Pad’ Desk Aluminum Chair by Herman Miller has proven to be a very popular chair ever since its introduction in 1969. 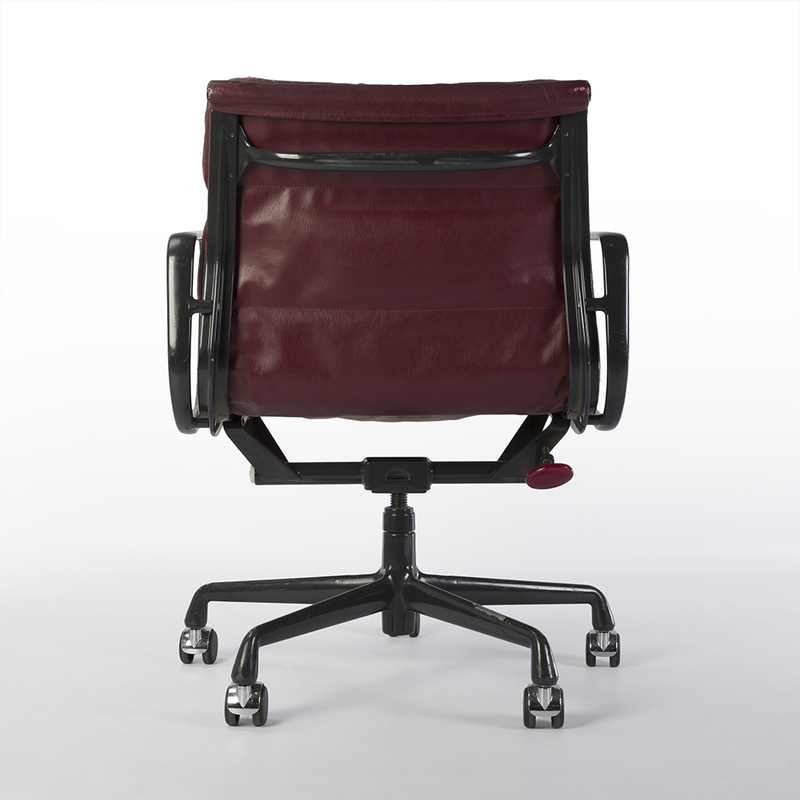 Their success led them to be produced in some rather interesting colours, much like this beautiful burgundy and black finish of this well-used chair. 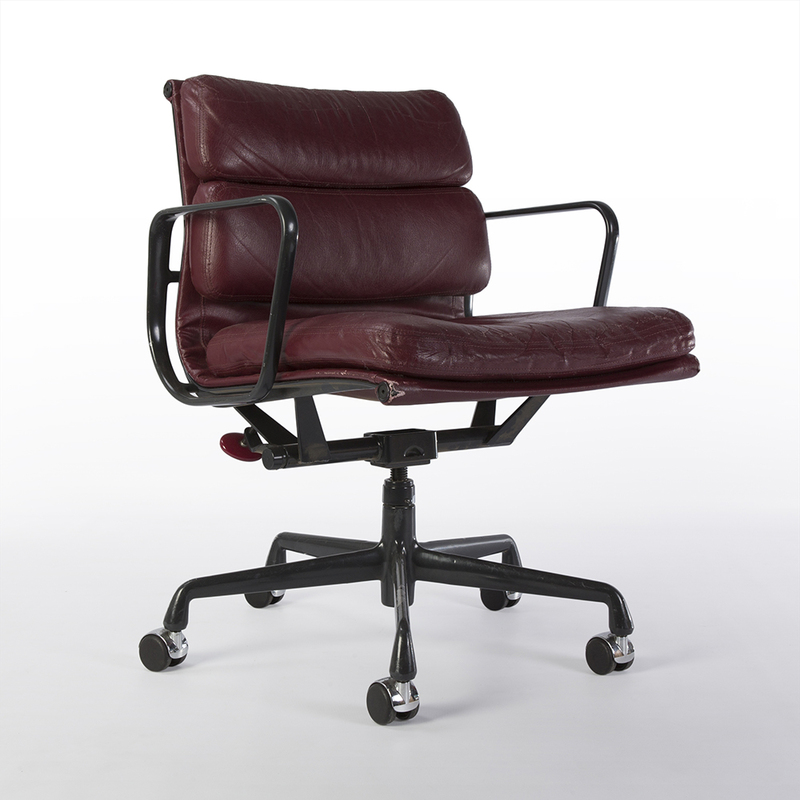 This manually height adjustable beauty has seen much service but will still prove to be a faithful desk chair. 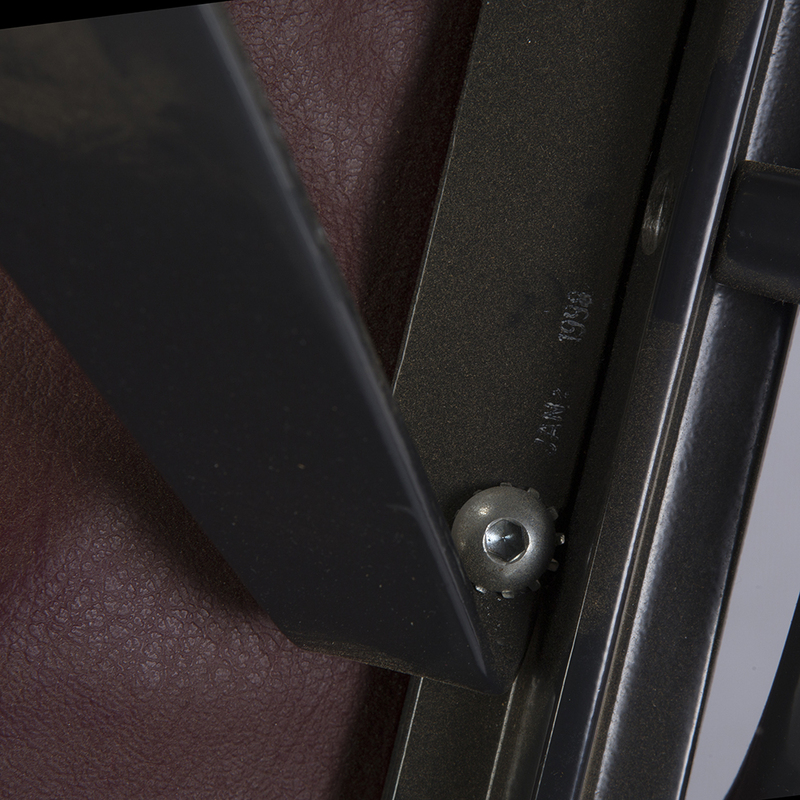 The Aluminum range from the Eames Office were a truly impactful design. 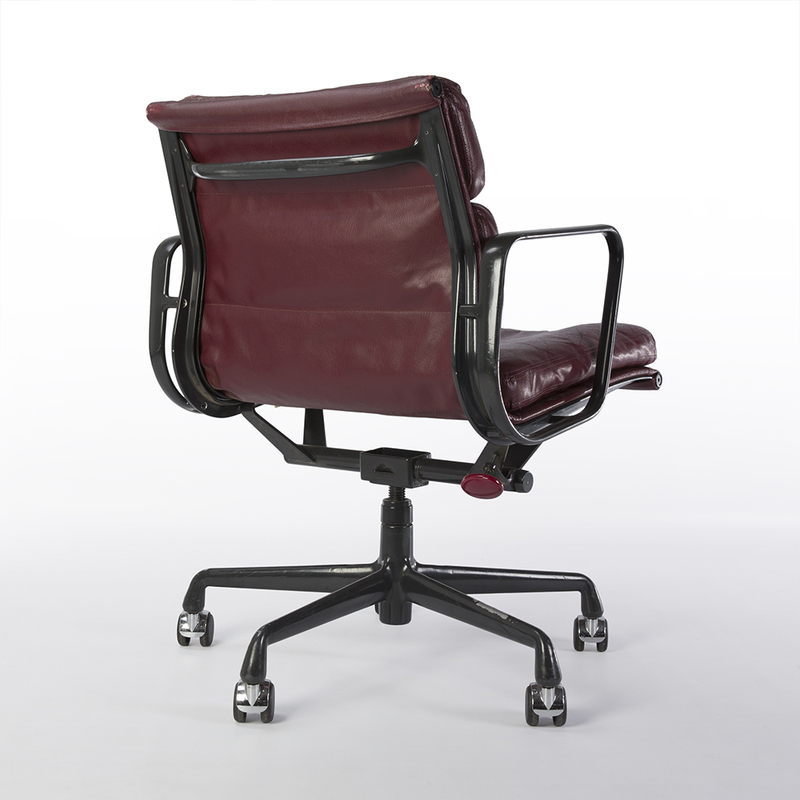 Versions of the chairs are still used in many offices across the globe and the lounge style chair proves to be just as popular. 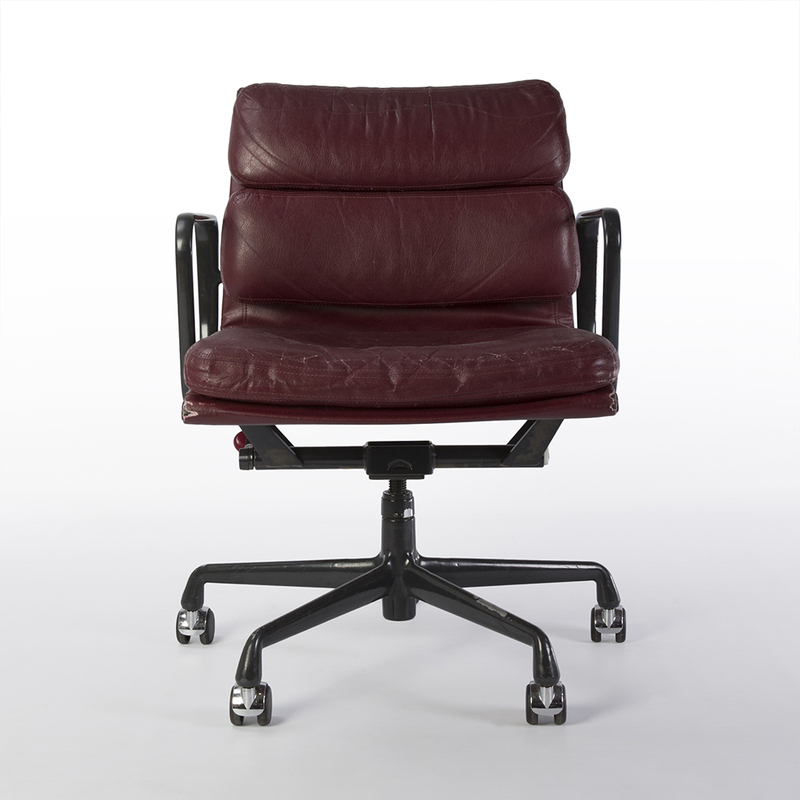 With the introduction of the ‘Soft Pad’ series a good few years after the first Aluminum chairs were produced, the range has seen a steady dominance within the office based furniture division. 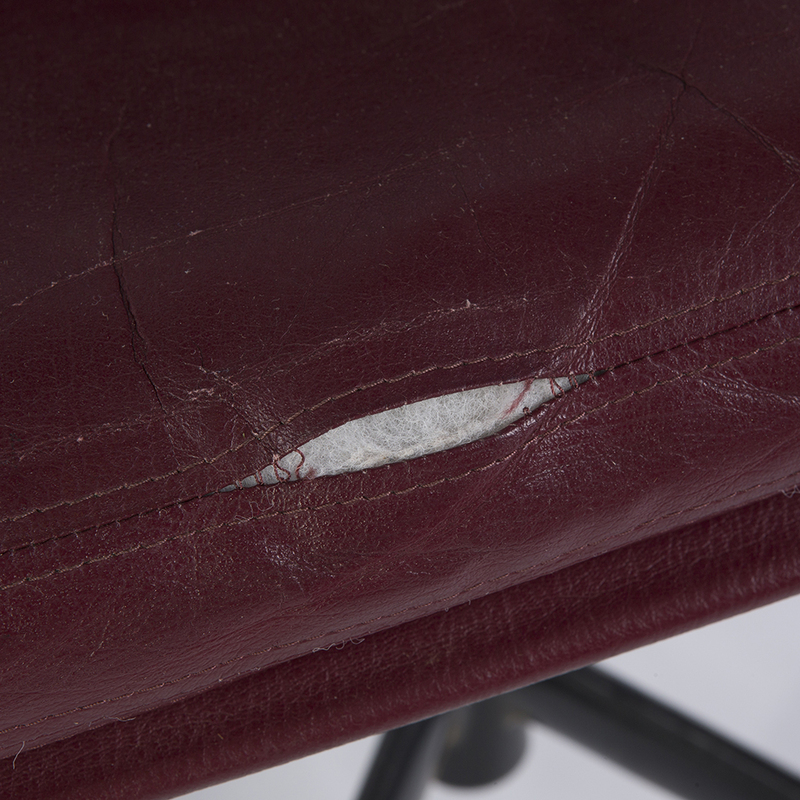 There is no denying this chair has had a bit of a life. The leather stitching has come away in some areas and the edges do display some heavy signs of use but as a great little restoration piece you could not ask for better, especially in this gorgeous colour. 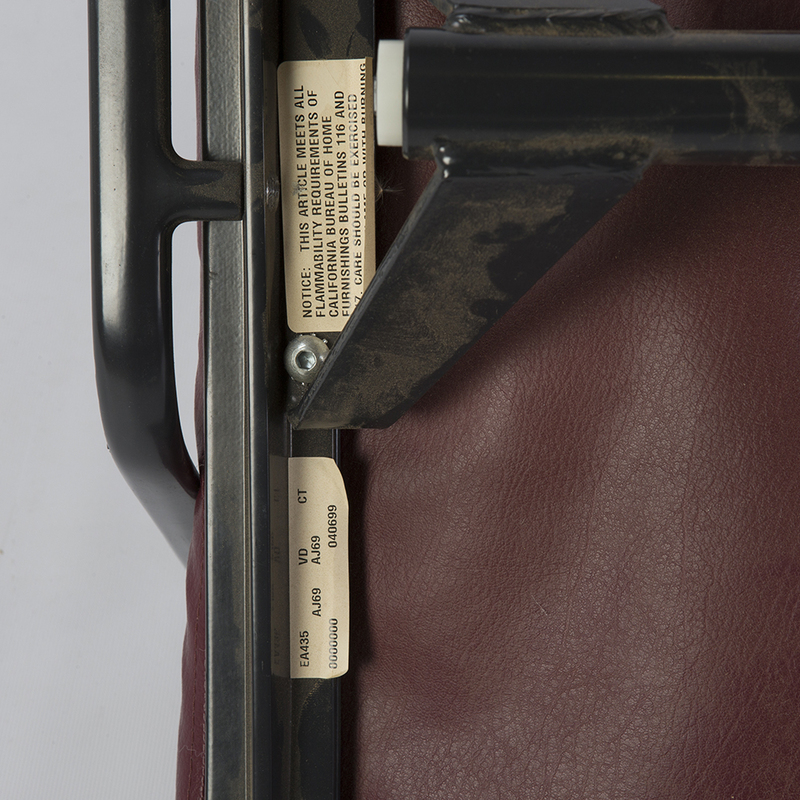 The stamp on the underside confirms this chair was produced in 1998 by Herman Miller.